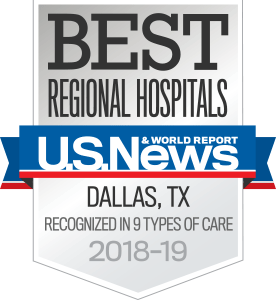 The Department of Radiation Oncology at UT Southwestern Medical Center is guided by a three-part mission: to deliver world-class care on a daily basis to our patients using the most advanced technologies available; to conduct groundbreaking basic, translational, and clinical research; and to provide quality education to the next generation of medical practitioners and scientists. Our faculty includes several distinguished chair titles, as well as experts from a wide variety of radiation oncology specialties. We conduct research within the tracks of clinical research, medical physics and engineering, molecular radiation biology, and technical and translational radiotherapy research – all with a goal of improving cancer treatment options for our patients. Our department provides comprehensive and advanced educational programs for residents and professionals in order to ensure all cancer patients benefit from exceptional care. We are committed to providing our patients with the safest, most advanced radiation treatment technologies available and to optimizing the effectiveness of each treatment.